What a fantastic week it was and I am still re-living every moment of it. Doing a Raid is quite a special moment in one's life - it is so much more than an achievement, almost life-changing. 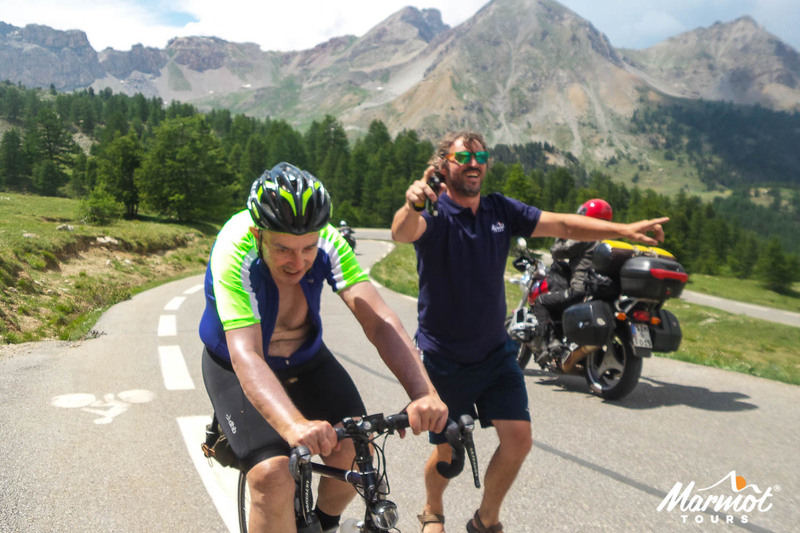 The official Raid Alpine (Geneva to Nice) is a classic road cycling challenge from Lake Geneva to Antibes on the Cote d’Azur through the Southern Alps and over some of the most legendary Alpine climbs and the two highest; the Col de l’Iseran and the Cime de la Bonette. 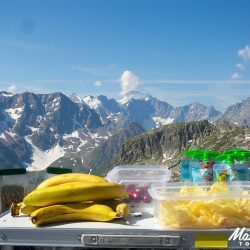 The scenery shifts dramatically from quintessential Alpine meadow views in the North to rocky gorges and the Mediterranean scrublands of the South. The Raid Alpine allows you to get to know this mountain range intimately. 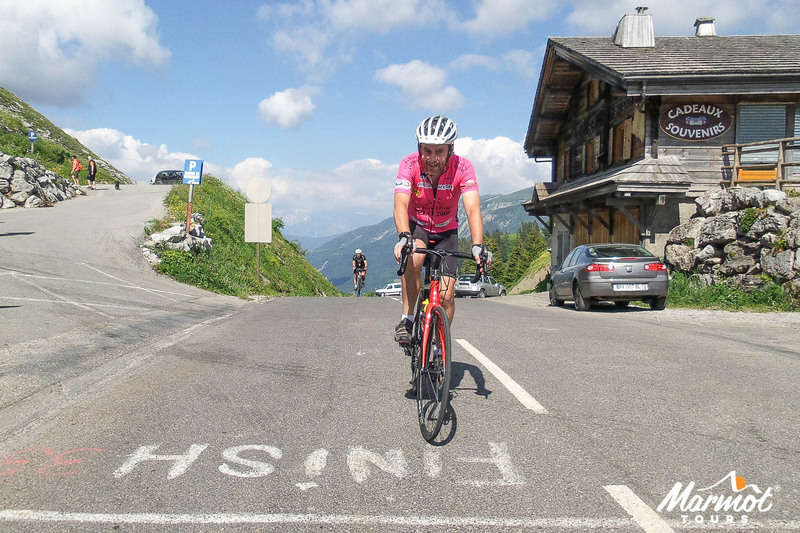 There are busy sections (thanks to the breathtaking views), but as ever, on 2 wheels, you also get to explore the quiet roads and lesser known cols which may well end up being your favourite climbs and descents. 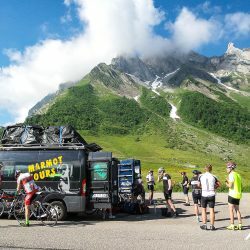 Whilst the daily distances and ascents are impressive, and you have 6 days in the saddle, this is a suitable first Raid for those with previous experience climbing in the mountains. 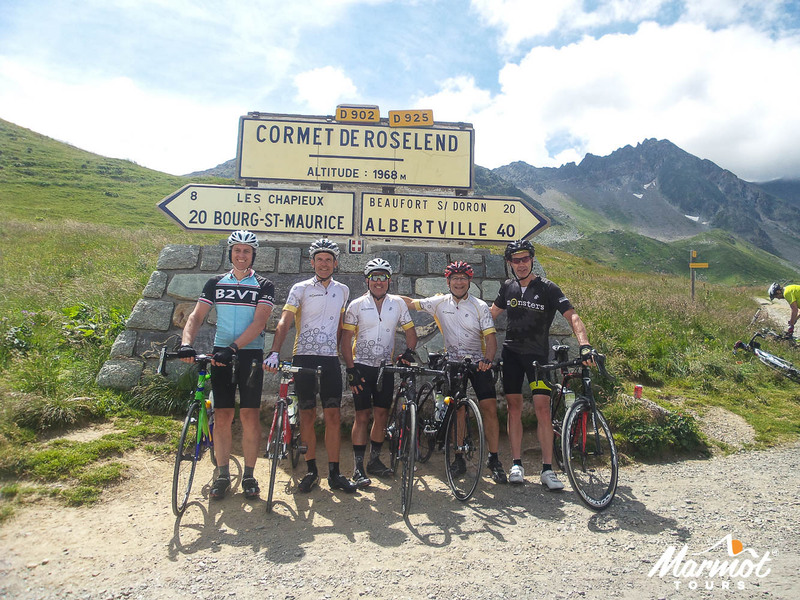 For over decade now we have been supporting cyclists in achieving their goals. 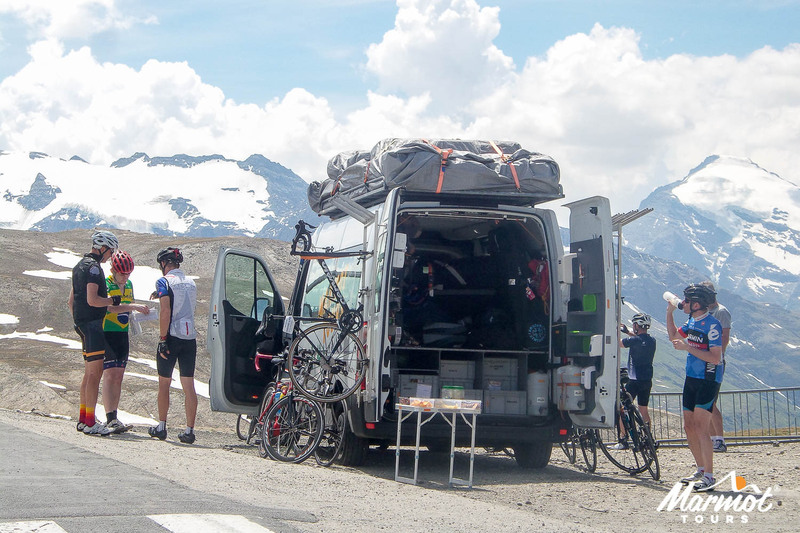 We are passionate about our product being the best it can be, and we enable over 100 cyclists a year do the official Raid Alpine route. 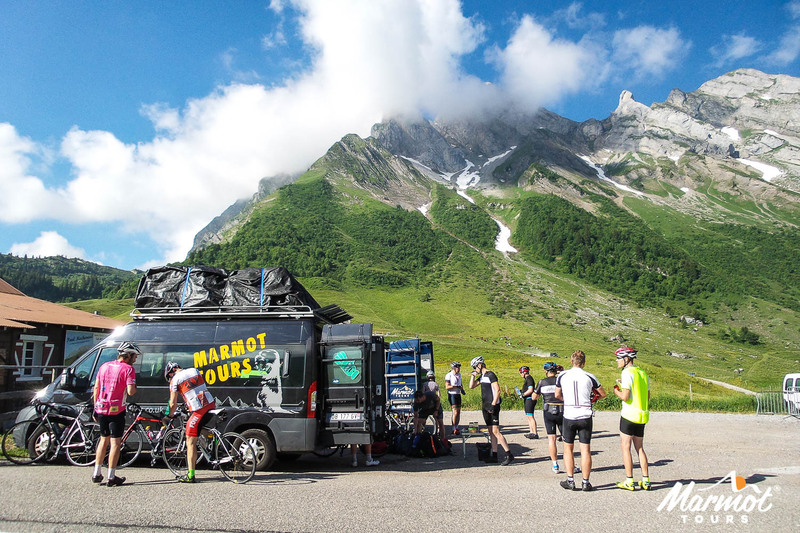 We provide two highly customised support vans per group, our guides are attentive and energetic and we know that this is not just a cycling challenge – it is also a holiday, so we keep it fun. It is also about your goals and aspirations and we pride ourselves on our individual customer focus from your first enquiry to the last moment of your holiday. 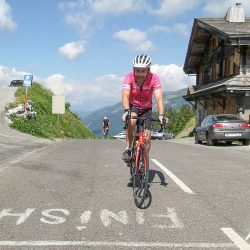 If you want to visit the Alps but do not want to do a Raid challenge, then the Classic Cols of the Alps with its flexible itinerary may be the cycling holiday for you. 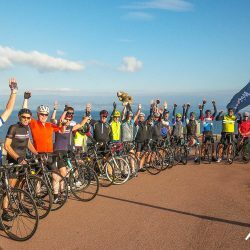 Read more about the area and our adventures supporting Cyclist Magazine’s Big Ride feature by clicking this link. We offer included transfers from Geneva Airport to Thonon Les Bains (1hr). Full travel advice (essential reading before booking your flights) can be found in our Trip Notes. 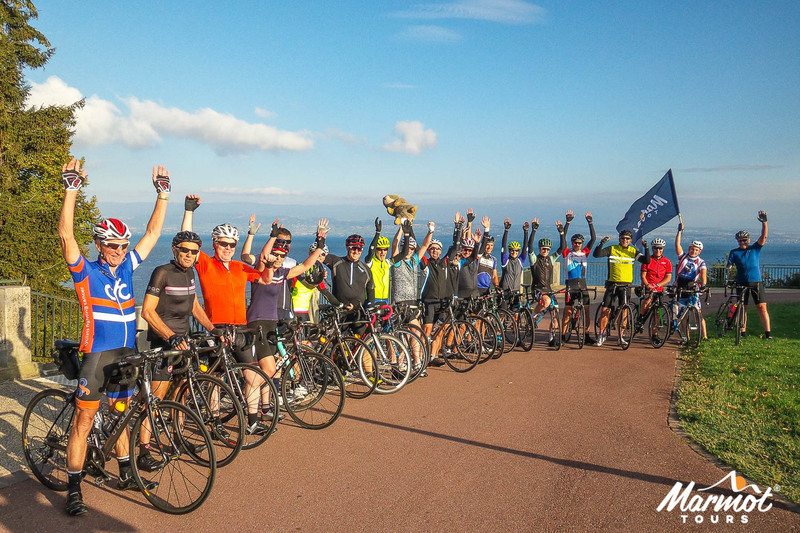 Meet your guides, assemble bikes and have a welcome briefing and great dinner. 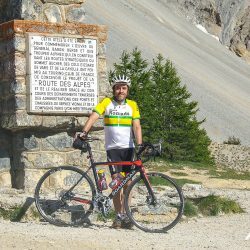 Enjoy a gentle warm up from the shores of Lake Geneva before the first climb (and stamp) of the trip; the diminutive Col des Moises (1118m). 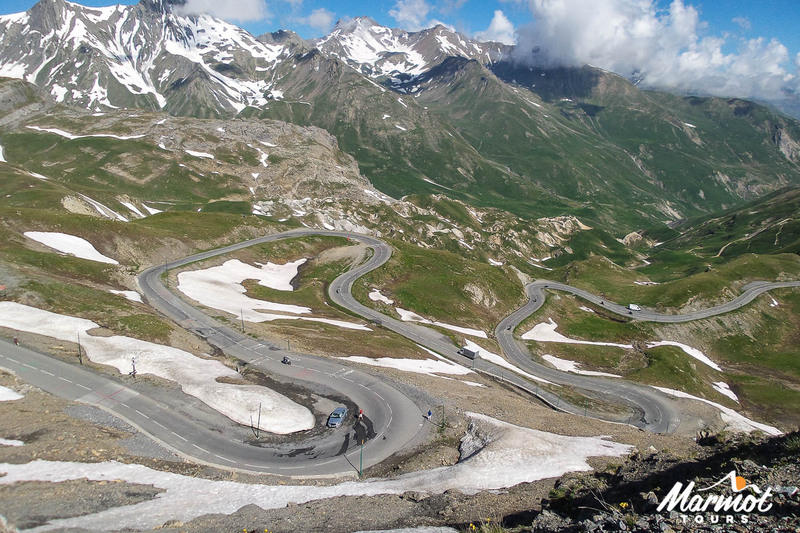 From here your route takes you through quiet pine forests and over the stunning foothills of the Alps. 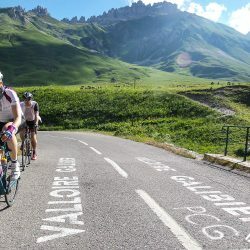 Along the way you’ll pass the stunning Col de Terramont (1080m), Jambaz (1027m) and Col de la Ramaz (1557m), and on to the classic Grand Colombiere (1613m) towards the end of the day (ok, not quite such a ‘foothill!’). 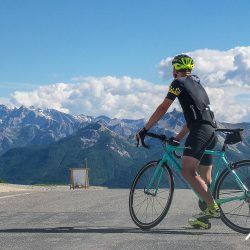 A beautiful ride today through some of the most well known areas of the Alps. 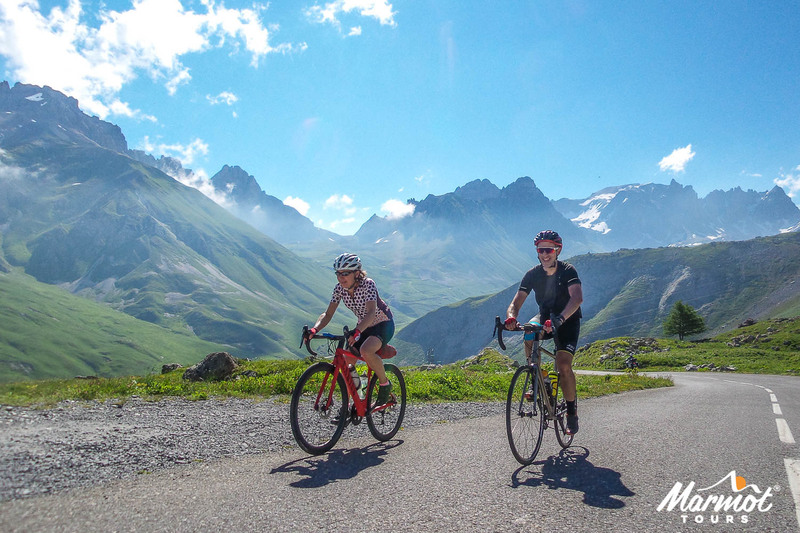 Tick off the final few kms of the Col des Aravis (1487m) before crossing into the Savoie region and taking on the Col de Saisies (1633m) with its fabulous descent to the ‘cheese mecca’ of Beaufort. 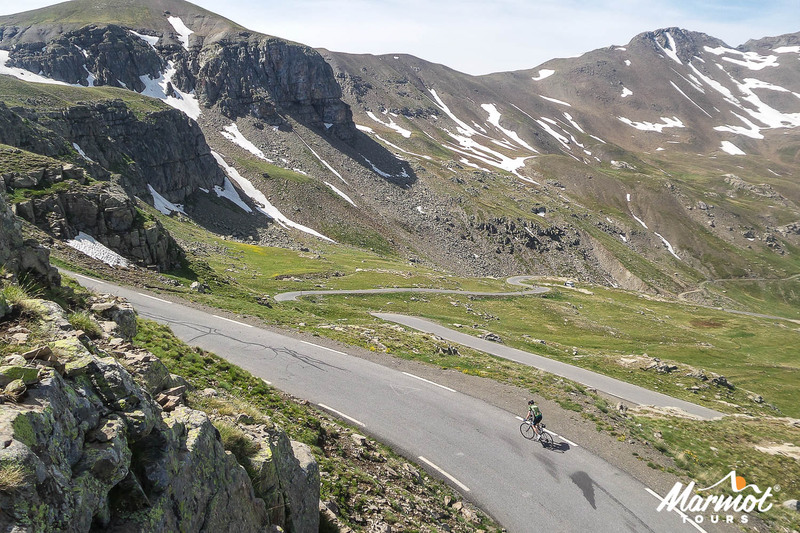 The climbs come in thick and fast today so next up is the testing Col du Pre (1740m), a quick dash across the dam (pictured), followed by the comparatively gentle Cormet de Roseland (1968m). 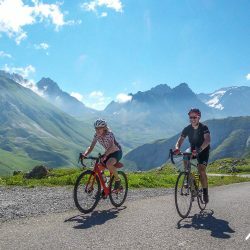 You are rewarded with epic views all afternoon and an epic 26km descent to your hotel in a peaceful setting on the outskirts of the thriving Bourg St Maurice. Up is the word for it! 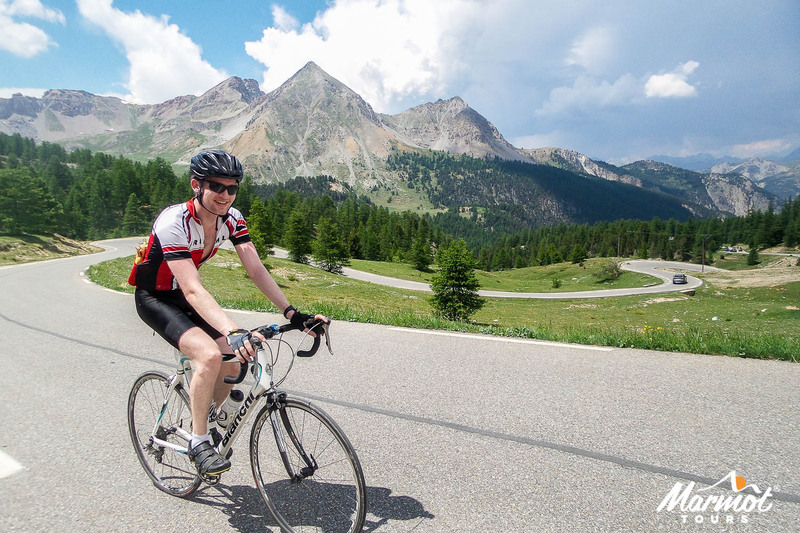 The mighty Col de l’Iseran (2770m) stands between you and your hotel tonight – a whopping 47km climb that definitely sees you earn your carnet stamp at the top! 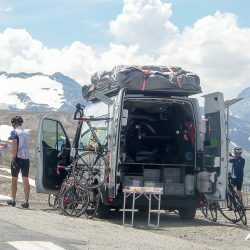 Enjoy a great descent to Lanslebourg before climbing up on to the balcony road over the Cote d’Aussois (1519m). 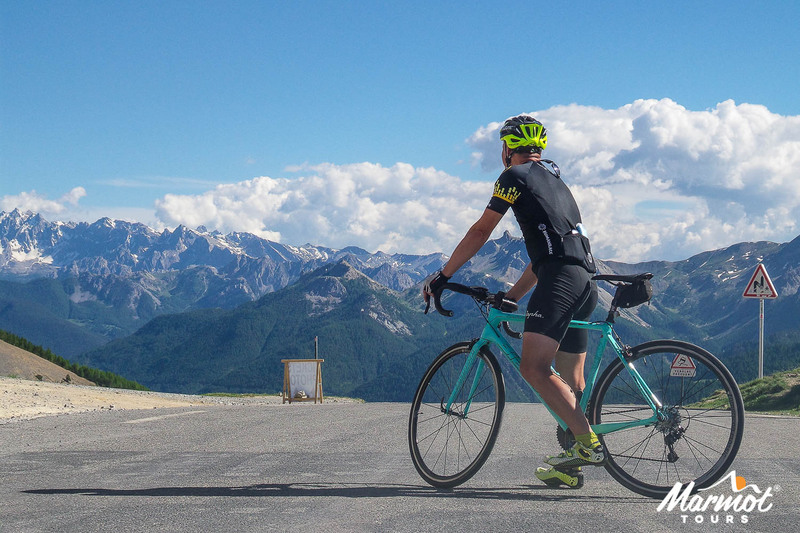 Your next down section takes you all the way to the foot of the Col du Télégraphe (1566m), one of the most well known climbs in the Alps. 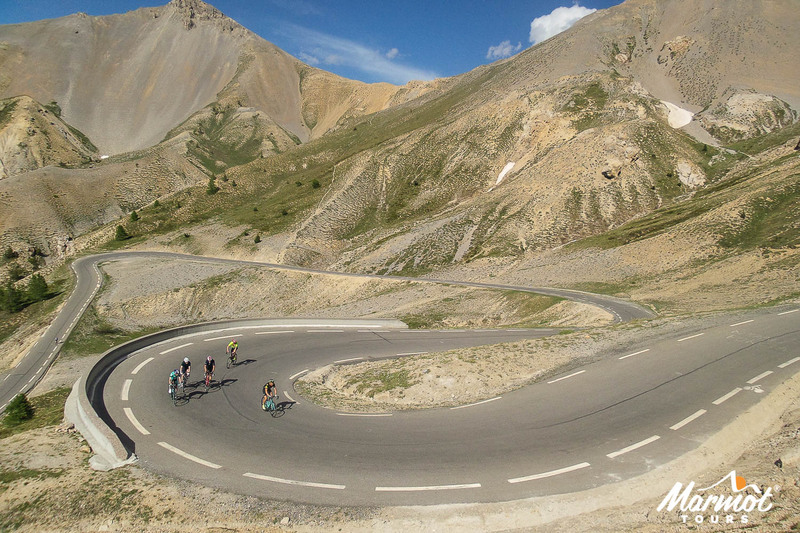 With that ticked off, you head to the pretty mountain resort of Valloire for the night. 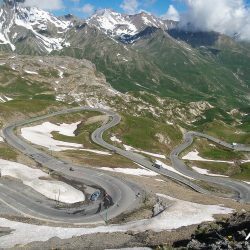 Another day of Alpine Classics today, starting with the infamous Col du Galibier (2642) with it’s ‘sting in the tail’ (10% av. 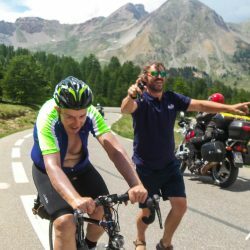 gradient for the last km). 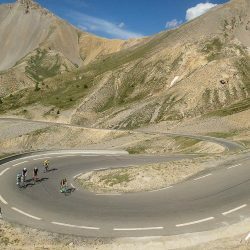 Enjoy a fast run from the top down into Briancon to start the 2nd ‘big boy’ of the day: the Col d’Izoard (2361m) with it’s monuments to Fausto Coppo and Louison Bobet. 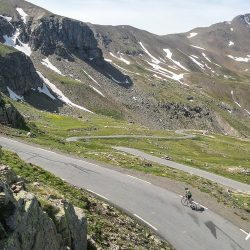 It is an epic 19km climb so you get a good run downhill afterwards before taking on the majority of the Col de Vars (2109m) with its great views of classic Alpine meadows. 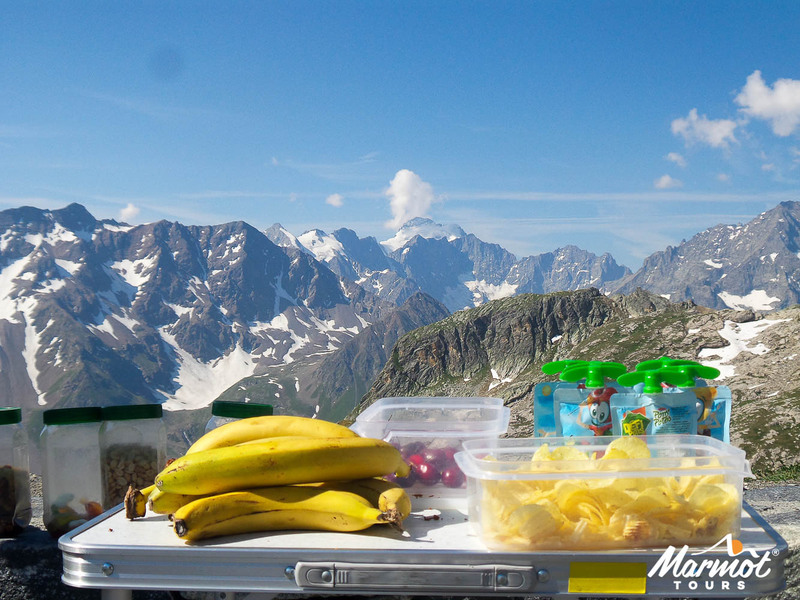 Pause in the ski resort of Vars les Claux tonight (1823m). 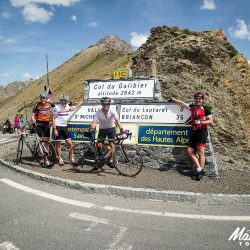 You warm up your legs this morning by ticking off the last few km’s of the Col de Vars (2105m) and after a great 20km descent and a brief dash along the valley you arrive at jausiers, quietly at the base of todays main event; the highest road going over a col in Europe, the famous Cime de la Bonette (2802m). 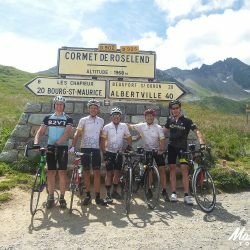 It is a long climb at (23km) but is fairly steady and you earn an incredible 53km descent from the top, down to St Saveur de Tinee. 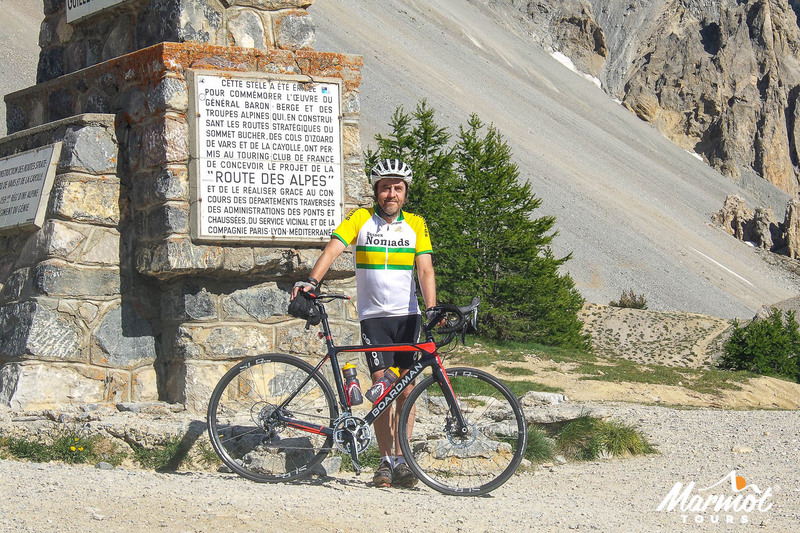 Just one more cliff hugging climb to go; the Col de la Couillole (1678m) before you reach the iconic ski town of Valberg for a well earned rest. 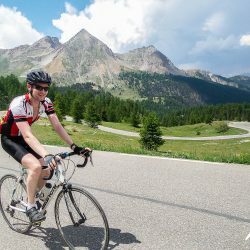 Start with a stunning descent through the Gorges de Cian today before climbing the Col de St Raphael (876m) and undulating across some fabulous countryside – drier and distinctly Mediterranean! 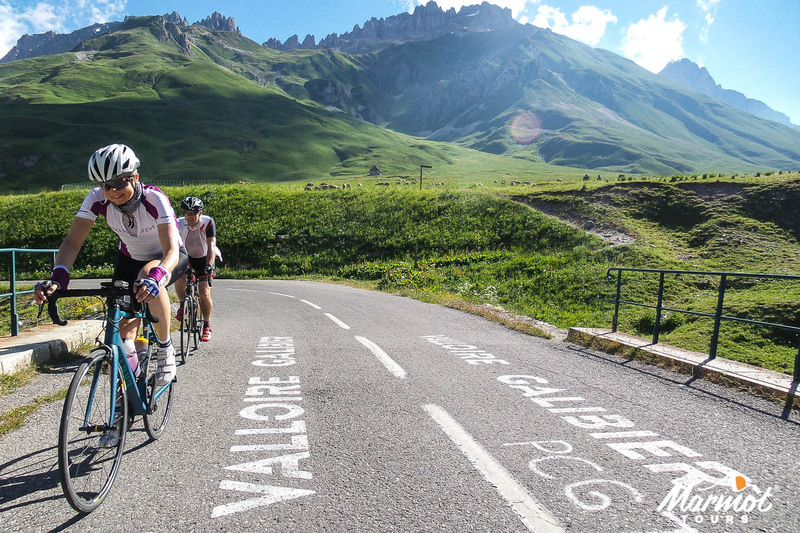 The last main col of the Raid is the Col de Bleine (1439m) followed by a 27km descent to St Vallier de Thiey. 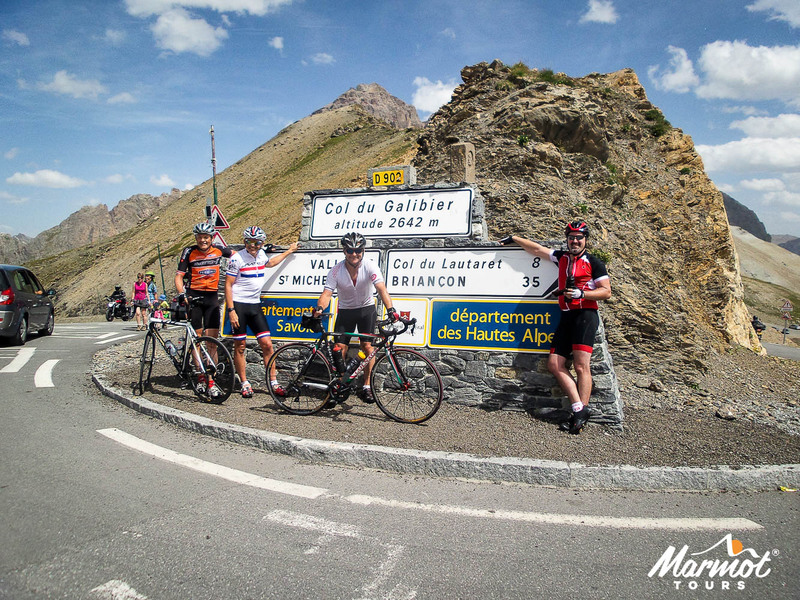 One more pimple to cross, the Col du Pilon (786m) before you head into suburban Cote d’Azur. Head to the coast and along to the final nights hotel to meet up with your leaders for your celebratory glass of bubbles! We offer included transfers from the hotel to Nice Airport (20mins) at specific times.